Since the island we live on is inclined by nature to be a tropical rainforest, teeming with life, it has considerable powers that war against the ephemeral structures which humans erect against the elements. Buildings are eroded by rain and humidity, despite being constructed almost invariably of concrete. A North American stick frame house wouldn’t last long very long here. 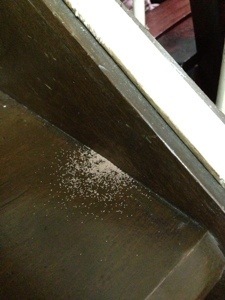 If the moisture didn’t destroy the wood, the insects would. They are nature’s army, dedicated to the relentless return of wood to the rich soil of what ought to be the forest floor. More aggravating is when it falls from the crown molding at the wall-to-ceiling seam, landing in a layer of little beetle pellets on the counters of the kitchen; or when the beetles eat away so much of the back door of the house that a little shower of bok-bok coats the arm of anyone who shuts it too hard; or when one of the stairs becomes so rotten that it isnt really safe anymore. 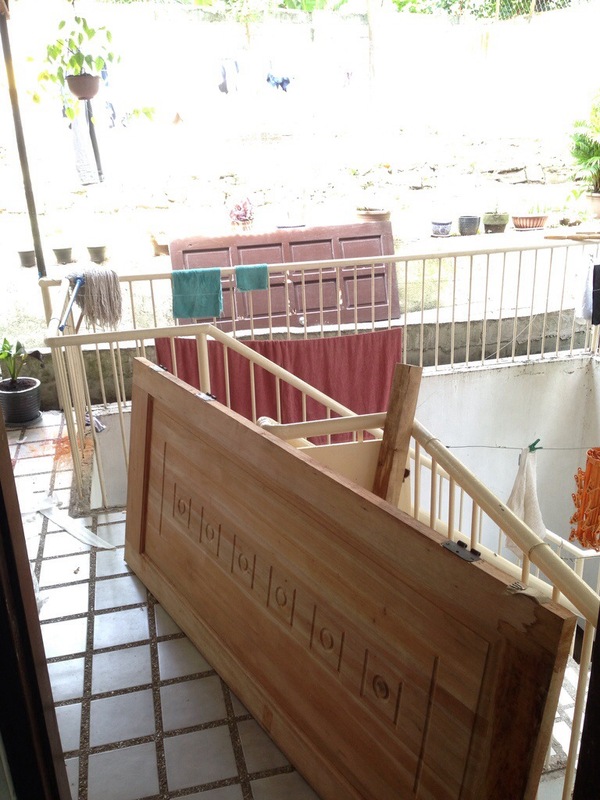 We finally persuaded our landlord to send the carpenter (Cebuano: “panday”) to replace the bad wood. We are told that this is a fairly good door, not made out of low-grade coco lumber like so much of the wood in this city. So our door should last probably…5 years! Cabinets have been repainted in the kitchen and we haven’t seen any more bok-bok on the counters. It just makes life a little bit nicer. 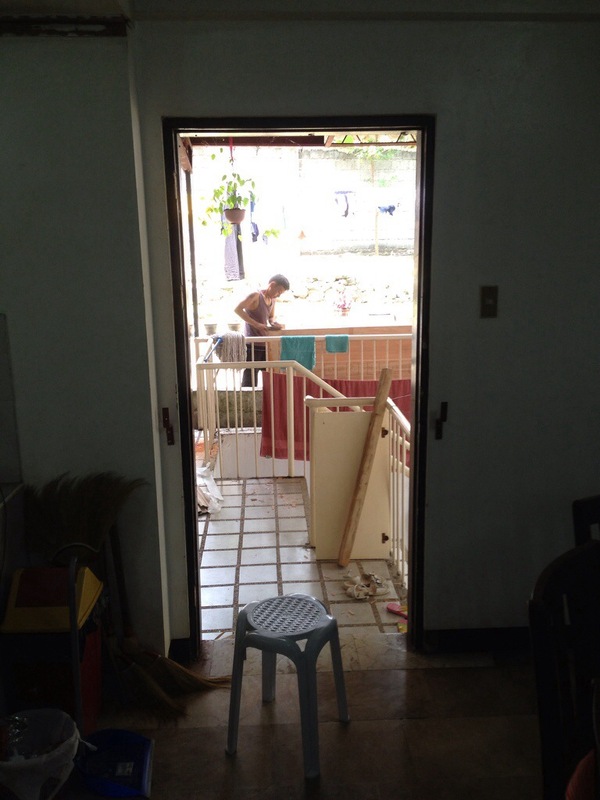 This entry was posted in Living in Davao and tagged Beetles, carpenter, door, molding, panday, wood.